Top speed of 100 to 124 mph (depending on version) engine typedrivetrain: Overhead-inlet valve, side-exhaust-valve, 6-cylinder with dual su carburetors displacement 4,887 cc (4.89 l) power rating 178 hp transmission 4-speed automatic chassis: Cam-and-roller steering; 4,345 lbs. Silent and social the si was promoted with an inventive slogan: the silent sports car. animated by a powerful five-litre, six-cylinder engine enabling speeds of up to 124 mph in some versions the si was really more agile than sporting, but its motor was practically inaudible. In actuality, the si was most appreciated in high society, which favored comfortable, refined and spacious vehicles. beautiful bodywork the si was available in several different body styles. Coupes were common, and in 1958 a cabriolet version was elongated to accommodate a separate chauffeur. 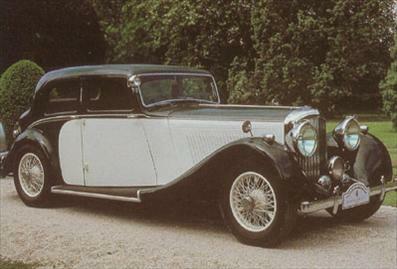 In 1959, the last examples of the si left the bentley factory.